Applying for enlistment into the army. 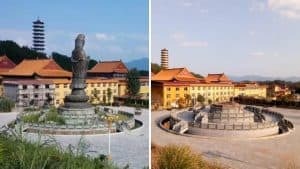 In an effort to force religious believers to give up their faith, the Chinese Communist Party (CCP) is using a “guilt by association” tactic utilized by ancient rulers, putting believers between a rock and a hard place: their families. 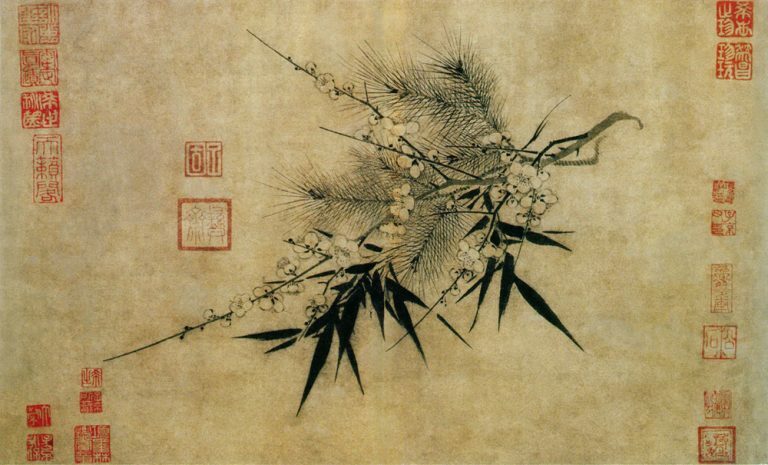 “Familial exterminations” or “guilt by association” dates back to the Shang dynasty (1766 to 1122 BC) and entailed the punishment of beheading criminals along with their relatives. Later, it came to refer generally to a method of punishment whereby all family members are implicated for the crimes of one person. The intention, the hope, was that by making the entire family guilty it would reduce crimes. Today in China, this method, this “guilt by association,” is widely used by the CCP authorities to crack down on religious believers. Wang Qicheng, from Weinan city in northwest Shaanxi Province, is a preacher at a Three-Self church. In 2014 and again in 2016, his son signed up online to become a soldier, but he was rejected both times because his parents believe in God. The local police even intervened and investigated the family. 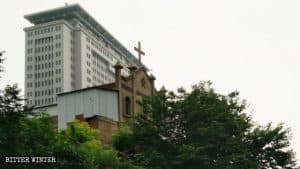 A similar instance took place over in Sishui county under the jurisdiction of Jining city in eastern Shandong Province, when Zhang Xiuzhi, a 74-year-old member of The Church of Almighty God (CAG) was arrested with seven other Christians in December 2012 for spreading the gospel. 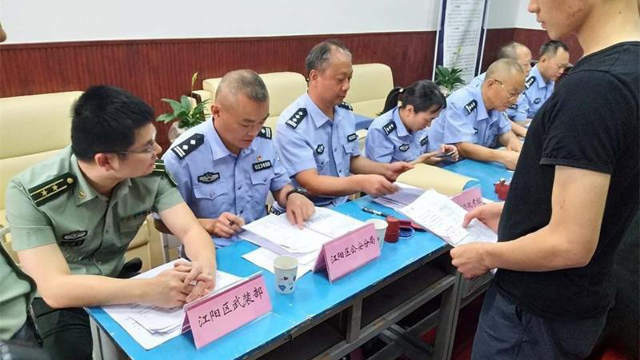 In April 2018, her grandson was drafted as a soldier, but his eligibility to serve in the military was revoked due to Zhang Xiuzhi’s belief in God. 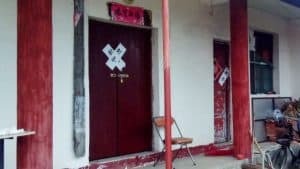 When Zhang Xiuzhi’s son went to the local police station to inquire as to why he was told that Zhang Xiuzhi’s belief in God discredited her grandson, and her belief also threatened her son’s eligibility to run as a candidate for village secretary. Serving its other purpose, the “guilt by association” method causes family to turn on one another. Initially, Zhang Xiuzhi’s son and daughter supported her belief faith, but now that their lives are becoming affected by it, they’re fighting. And this keeps happening over and over again. On November 16, 2018, Xu Aiguo, a resident of Tai’an city in Shandong, said that his son is of eligible age to join the military and is a university student with excellent academic results, but for two years he has failed the exam because of his younger brother’s belief in Jesus. So, no matter how well-qualified Xu’s son is, he can’t serve in the military. 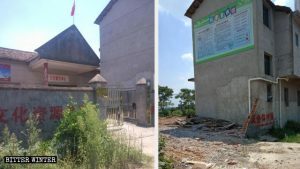 Zhen Zhizhuo, a Falun Gong practitioner in Shanxi Province, was arrested by the CCP police three times and sentenced twice over 18 years, during which she was tortured and subjected to cruel treatment. Even after being released from prison, she is still under surveillance. 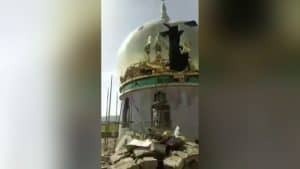 But her religion resulted in her younger brother, who was the battalion commander at a military district in Beijing, being forcibly discharged from military service. Now, he has no choice but to perform casual labor to earn a livelihood. Because columnist and current affairs commentator, Xia Xiaoqiang, is a Falun Gong practitioner and has published articles on the Epoch Times, his older brother, parents, and brother-in-law in mainland China have all been subjected to coercion by police officers from the State Security Bureau in Zhengzhou city, in central China’s Henan province. The police said that if Xia Xiaoqiang continues to write, the company his older brother operates will be shut down, his family will be permanently banned from traveling abroad and Xia’s elder brother’s children will be deprived of the opportunity to further their studies.